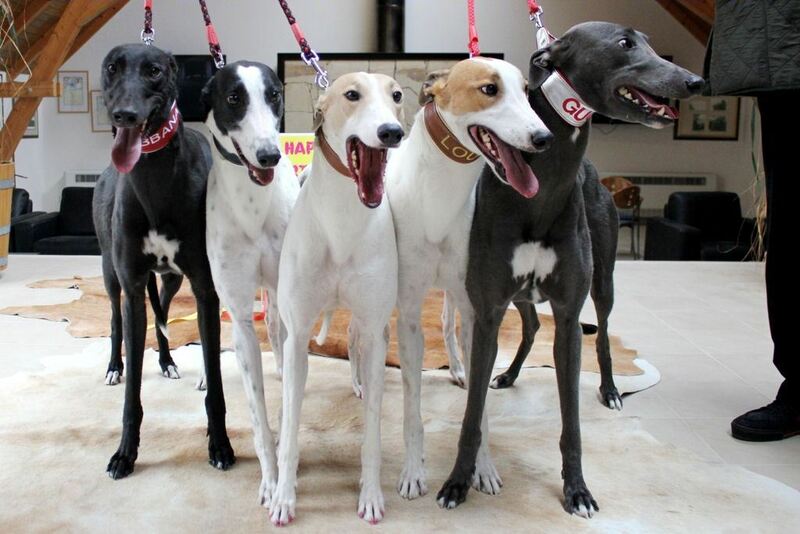 It has nothing in common with fashion brands but that are young racing greyhounds that came from the Australia to the Czech Republic last year. 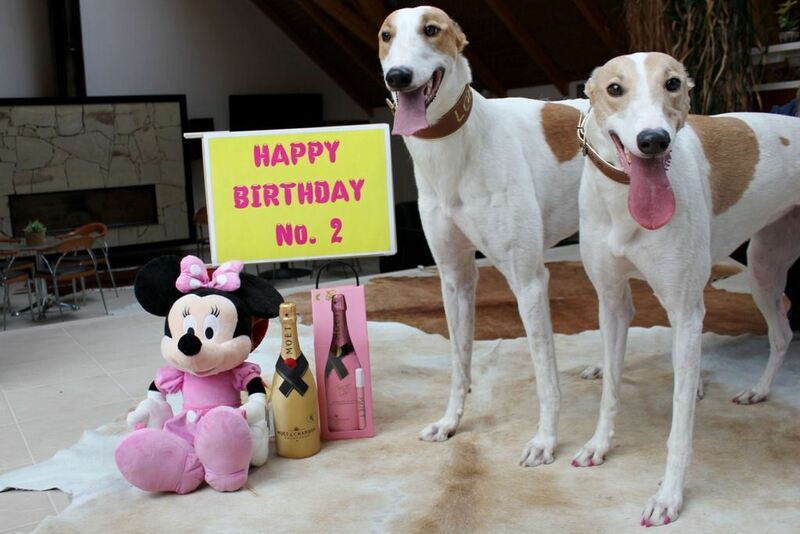 They are offspring of racing legend Big Daddy Cool - world known TOP stallion and greyhound racer Queen Smig. 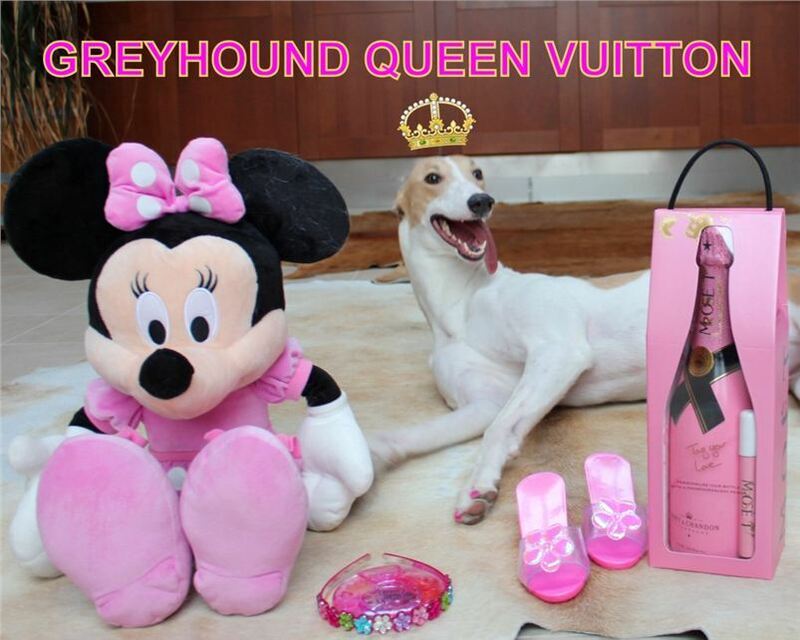 Big Daddy Louis, Queen Vuitton, Cool Dolce, Cool Gabbana and Big Daddy Gucci. 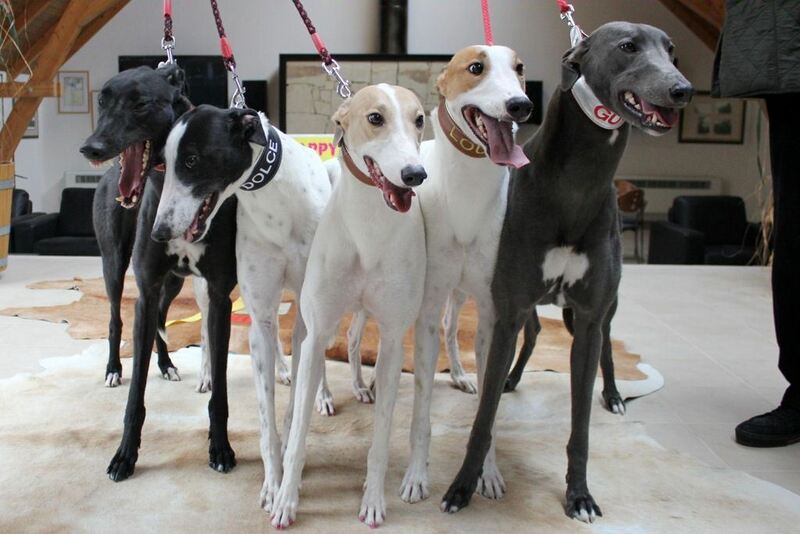 "Puppies are more famous than Beatles" said radio redactor with humour in the on-line reportage from their arrival to the Prague airport. 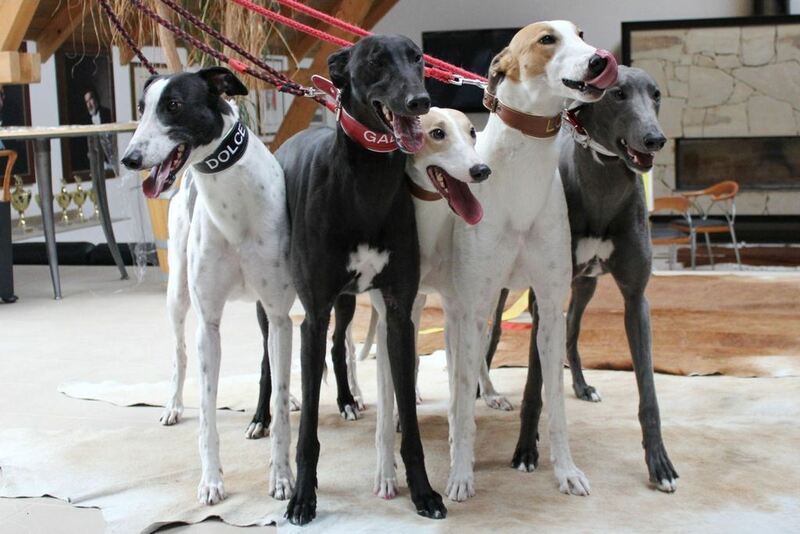 Redactors and photographs of different media called greyhound's puppies - "greyhound bears". 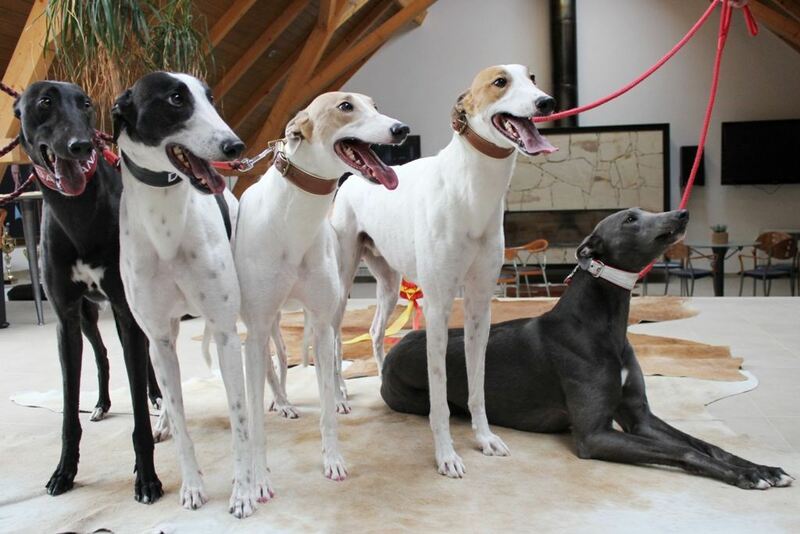 Dolce, Gabbana, Gucci, Louis and Vuitton are already adult but they still look so young - as their brother White Elbony - which in the age of 6 years has got face of the puppy. 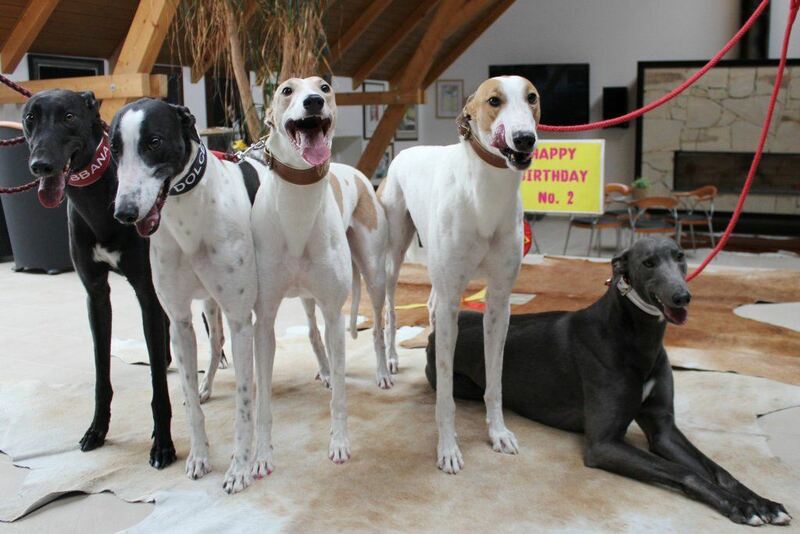 We call him "greyhound, which is always smiling." 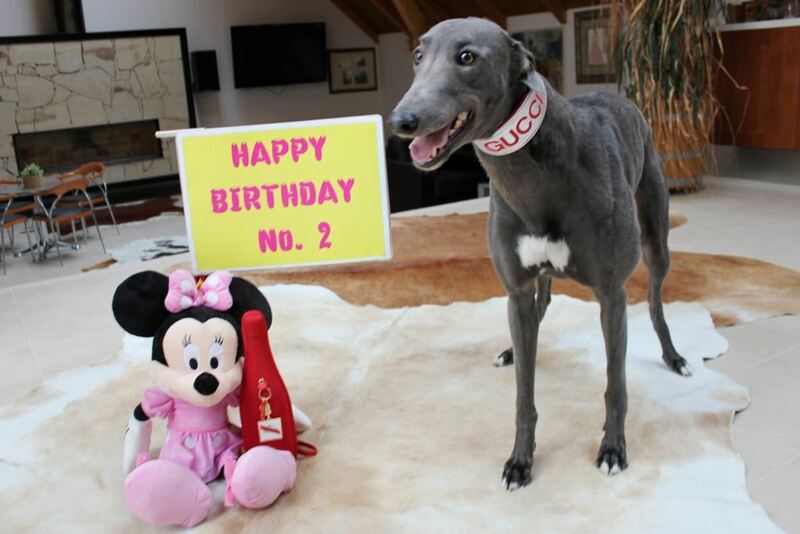 Note: according to the racing order greyhounds are no longer puppies when they reach the age of 2 years. 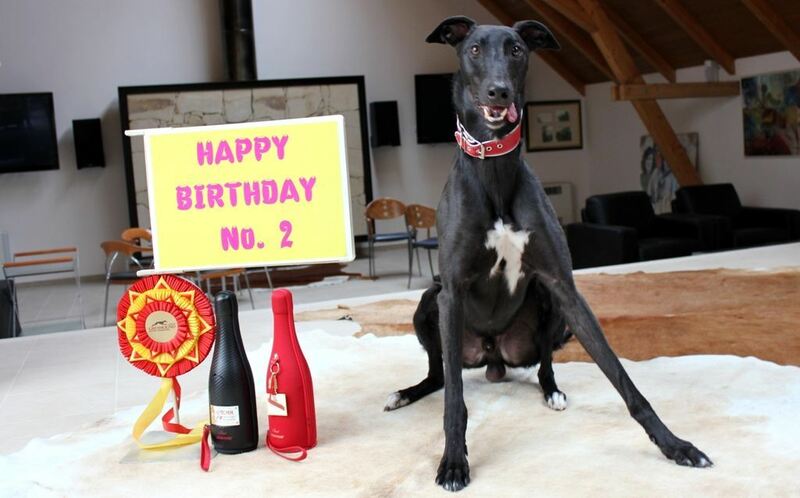 "What a greyhound such champagne" that was what owners said. How owners of Australians said so they did. Champagne Mumm or Moët & Chandon, every bottle in the attractive racing design. 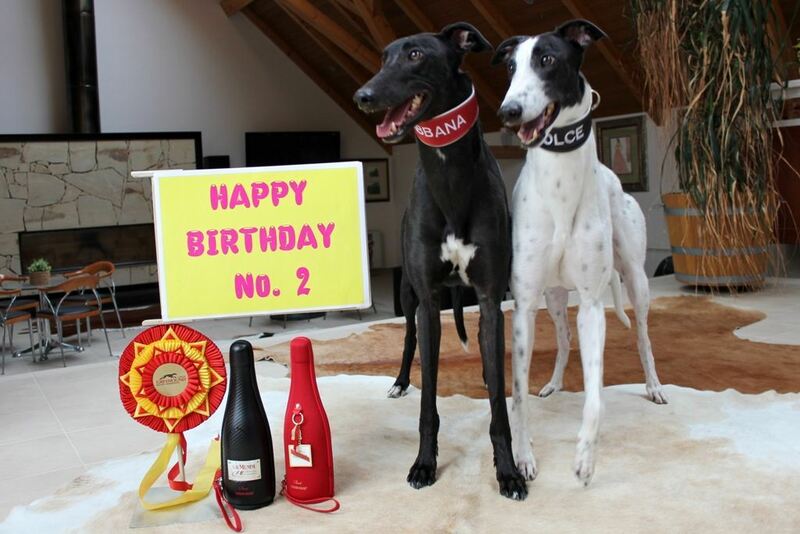 We bought these bottles in the honour of the racing greyhounds Cool Dolce, Cool Gabbana a Big Daddy Gucci. Cover and the zipper of the bottle it seems to be made of carbon. This covers reminds to us the dashboard of the supersport car. 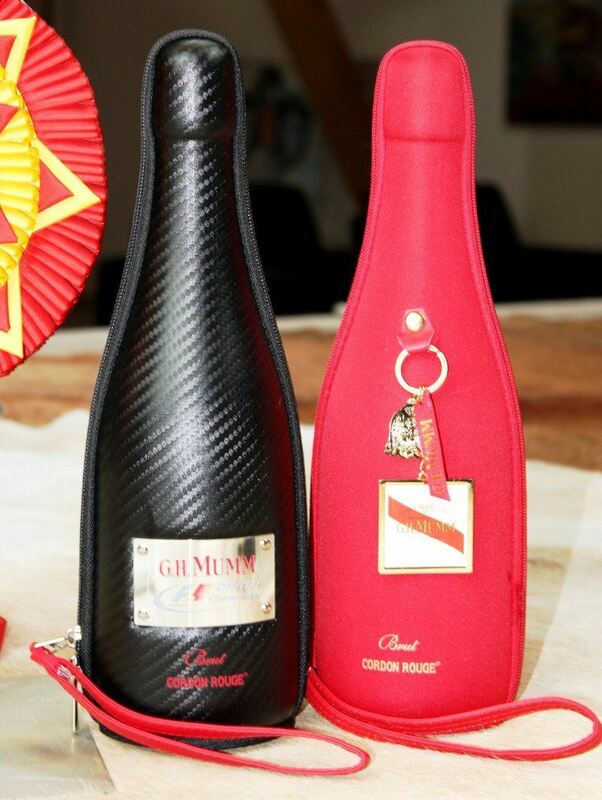 Cover and the zipper of the bottle that is red encircle bottle as racing suit of the drivers from Formula 1. 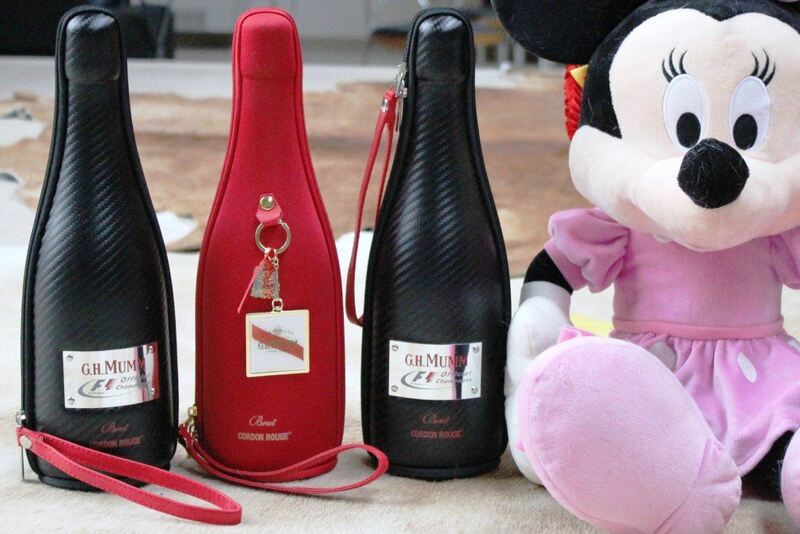 Golden champagne was prepared for the Louise and pink champagne in the pink cover was prepared for the Vuitton. And if it has been perfect for greyhound princess Vuitton - Queen Vuitton - it must be pink packaging with golden crown. 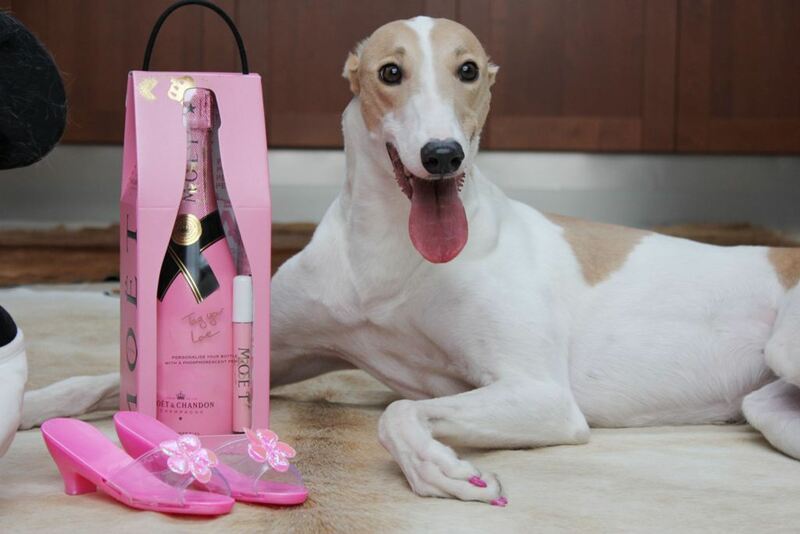 This packaging contains bottle of the Moët & Chandon with pink label and mascara in the pink packaging. 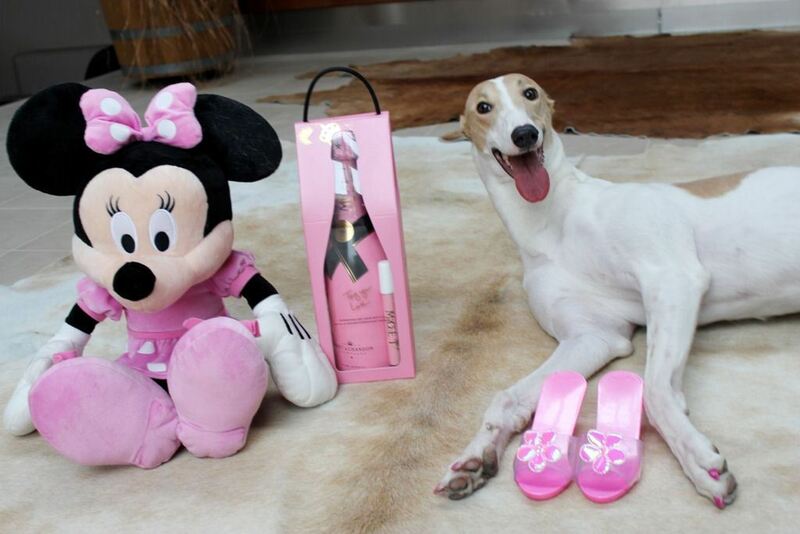 Happy Vuitton loves pink colour. 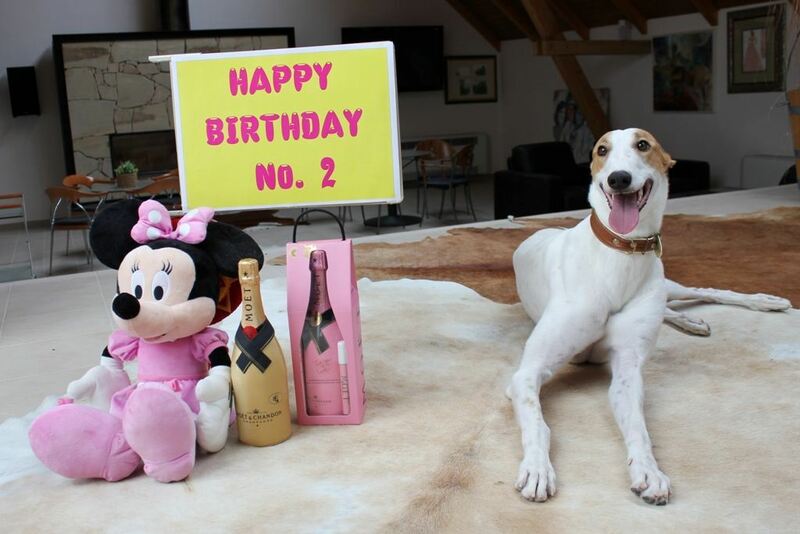 Vuitton is a coquette, who meets her, he already knows. 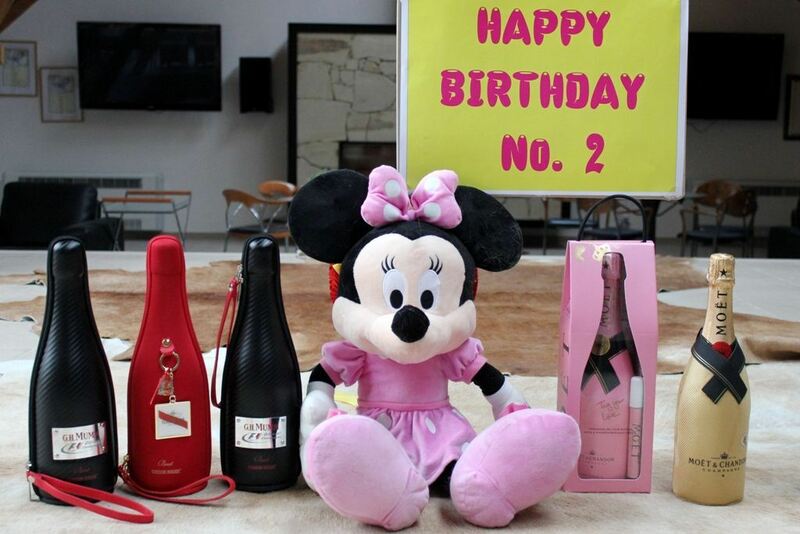 Good luck, dear Dolce, Gabbana, Louis, Vuitton, Gucci - good luck and good health. 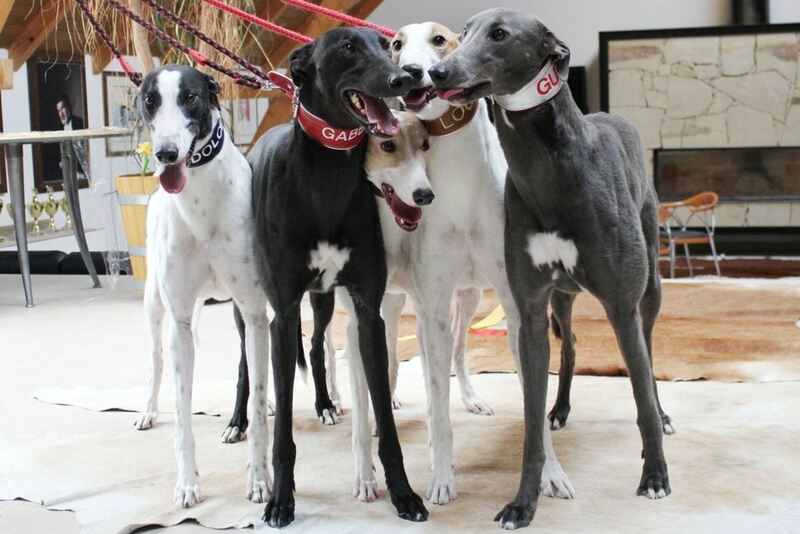 Their owners say: thank you that you are!